Great New Things from Fundly Connect! With the release of a new build, users may experience some irregularities in their Connect account such as the appearance of strange code, blank screens/modules, lack of word wrapping, etc. These issues are related to the need to clear your browser cache and/or to log out and back in to the system in order to get the new updates. If you continue to experience difficulties after clearing your cache and re-logging in, please email us at support@fundly.com. For Volunteer Action Centers and Universities, as many of you have requested, we are no longer sending the newsletter to your partner organizations. You can forward/copy this as you see fit. Wondering why an X mark is displayed beside the volunteer or organization’s email? This email status did not only mean that the email was invalid but also meant that the email address has not been verified. To prevent any confusion with this status, we have added the “unverified” email address status (similar to CRM) so users can identify which emails have not been verified and which are actually invalid. You can now add social media links for Instagram and Flickr on your public site to allow more following and more volunteers! To add a social media link, login as the organization admin. Click the main menu, Website Integration then Design My Public Site. 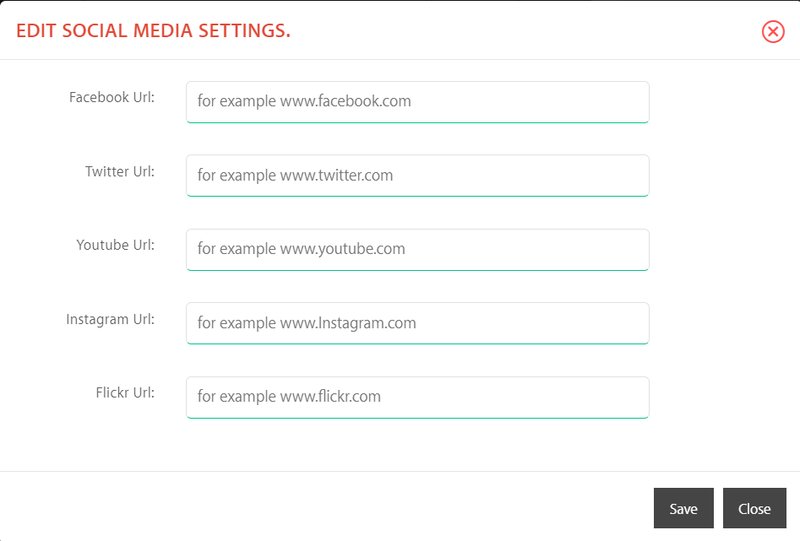 On the Website Configuration screen, click Edit Template and scroll to the bottom of the page and click the edit icon of the social media icon section. Enter your social media URLs then hit Save. To prevent the Courses list from getting cluttered, we have given the University the ability to deactivate courses. Inactive courses will not be visible on the student registration form and the opportunity configuration course drop-down. The mailing address tracks the volunteer's home address. You can track work address for volunteers. When entering work address, you have the ability to associate the volunteer with the company they are working for. Work address will not be displayed if you don't have the Business Module. If you were using "work address" prior to this release and do not have business module, those "work address" will be moved into "other address". No action needed on your end. When setting a volunteer work address, a business must be selected to register its address as the volunteer work address. Did you know that you can create Private Opportunities? These opportunities can be those that are available only to a specific group of volunteers or those that have priority volunteers. If you enjoy Fundly Connect and/or Fundly CRM V2, please consider leaving a review on Capterra.com. To Leave us a review Click Here.